The absurdly outrageous, sarcastically satiric, and always entertaining New York Times bestselling author Christopher Moore returns in finest madcap form with this zany noir set on the mean streets of post-World War II San Francisco, and featuring a diverse cast of characters, including a hapless bartender; his Chinese sidekick; a doll with sharp angles and dangerous curves; a tight-lipped Air Force general; a wisecracking waif; Petey, a black mamba; and many more. San Francisco. Summer, 1947. A dame walks into a saloon . . . It's not every afternoon that an enigmatic, comely blonde named Stilton (like the cheese) walks into the scruffy gin joint where Sammy Two Toes Tiffin tends bar. It's love at first sight, but before Sammy can make his move, an Air Force general named Remy arrives with some urgent business. 'Cause when you need something done, Sammy is the guy to go to; he's got the connections on the street. Meanwhile, a suspicious flying object has been spotted up the Pacific coast in Washington State near Mount Rainer, followed by a mysterious plane crash in a distant patch of desert in New Mexico that goes by the name Roswell. But the real weirdness is happening on the streets of the City by the Bay. When one of Sammy's schemes goes south and the Cheese mysteriously vanishes, Sammy is forced to contend with his own dark secrets--and more than a few strange goings on--if he wants to find his girl. Think Raymond Chandler meets Damon Runyon with more than a dash of Bugs Bunny and the Looney Tunes All Stars. It's all very, very Noir. 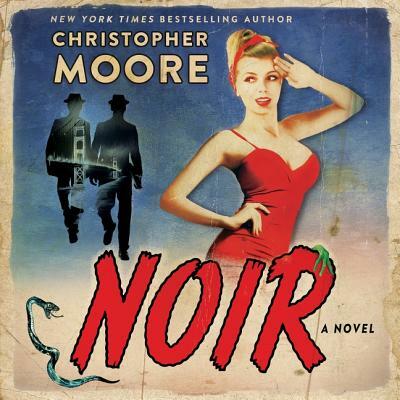 It's all very, very Christopher Moore.